Who's the biggest guy in basketball? New Mexico State University center Sim Bhullar wasn't selected in the 2014 NBA Draft, but he has signed a contract with the Sacramento Kings. Should he make the team's roster, at 7-foot-5 and 360 pounds, he would be the biggest player in the NBA, and the first player ever of Indian descent. 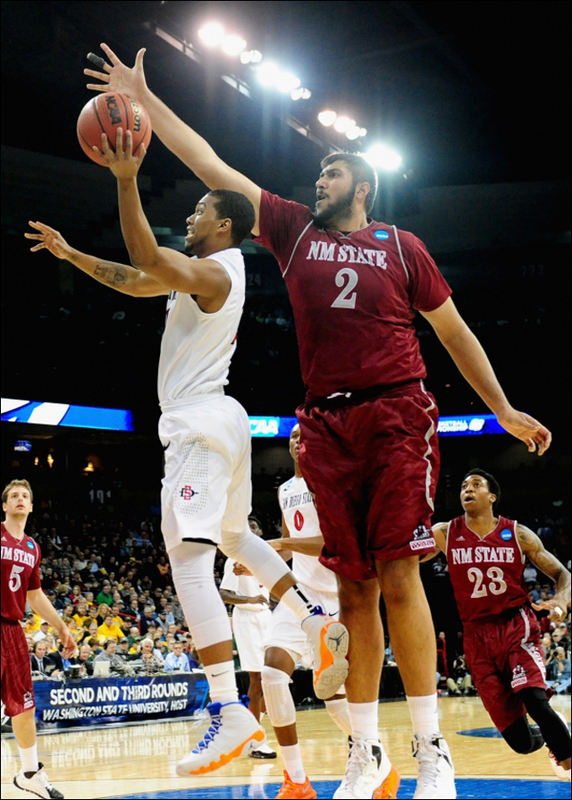 New Mexico State's massive center Sim Bhullar will sign with the Kings, per agent Mike George. Dude is raw, but you can't ignore his size. Bhullar has a lot of work ahead of him, and he knows it. "It's a once-in-a-lifetime opportunity," Bhullar told CBC News of the draft process. "Not everybody gets to do it... so it's an honor and a blessing and I just thank God every day for putting me in this situation." Now that he's defied the odds and been selected, the real work starts. Bhullar is not guaranteed an NBA job, but this is an encouraging sign nonetheless. He has a long way to go until he joins the Thomases of the world. The Kings will likely put him on their own conditioning program, and then it'd be a mild surprise if he did not start his career in the NBA D-League. It should be noted that the Sacramento Kings are owned by Vivek Ranadive, who was born in India and has expressed strong motivations to grow basketball's reach in his home country. Having a giant Indian guy playing in the league certainly couldn't hurt in that endeavor. On the novelty factor alone, it would be so friggin' cool to see Sim Bhullar suit up. We shall see.